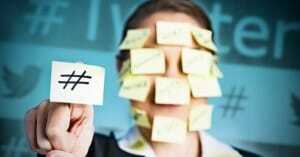 Human error is the one constant throughout all of human history. No one is exempt from error, though some errors are larger than others. In the world of blogging, errors can be factual, they can live in code, or they can be baked into the text. English is terribly difficult, even for native speakers, and ESL bloggers have it even harder. On top of the language itself, you also have different style guides to contend with. Do you go for the academic MLA, the professional AP, or a more casual Internet style? Really, it doesn’t matter which you go for, so long as you’re consistent with it and you avoid errors that are errors, not just shifts in style. You can argue one way or the other about the Oxford Comma, but at least you know to use a comma, not a semicolon. There are a lot of tools you can use to check spelling and grammar, though I will say up front that no one tool is perfect. Sometimes they will miss errors, and sometimes they will flag items as errors when they are not. A spellcheck will often pick up a brand name as a spelling error if it’s not in their dictionary, for example. Likewise, grammar checks will sometimes flag passive voice as an issue when it’s really just a matter of style and clarity. Here are six tools I’ve found that cover the bases fairly well. I recommend that you use all of them for a few blog posts, until you find which ones work best for your style and which don’t. Once you’ve narrowed it down, you really only need one or two. Here are some options. Grammarly is probably the most well-known and oft-recommended tool online, and with good reason. It’s one of the most sophisticated and in-depth tools out there. It catches hundreds of possible grammatical errors and, of course, spelling issues. It’s pretty good at catching misused homophones, like the “their/there” and “to/two/too” issues that plague far too many people. On top of all of that, their engine actually can scan the context of your post and recommend synonyms to vary your word choice and improve context. They don’t blindly recommend word alternatives, they actually consider topic and context to suggest better words. They also don’t limit themselves to a single alternative, they present you with half a dozen options and reasons why they’re options. They also don’t simply correct mistakes for you. When they find a mistake, they have an automatic explanation engine that shows you what the error is, why it’s an error, other examples of the error, and corrected versions of the sentence to help you learn how to fix your content. With enough time, you can learn to improve your writing automatically. Grammarly is not a tool you can paste in your content and let it check, however. Rather, it’s an add-on for your browser. If you type up or paste a post into the compose window in WordPress or a document editor like Google Docs, it will automatically activate and scan your content for you. They also have a plugin for Microsoft Office and a stand-alone Windows tool, as well as a plagiarism checker that will perform a basic scan but not tell you what the errors are until you log in and use their tool. The plugin, the add-on, and the plagiarism detector are all free for limited use. They have a list of 150 most common errors, but an additional 100 or so errors, the vocabulary enhancement, and the contextual checks are all gated behind a premium version. Premium is $30 per month if you pay monthly, or as low as $12 per month if you pay annually. Some people prefer a workflow where they produce content in a word processor and paste it into their blogging platform later. There’s nothing wrong with this process, but you have to make sure you’re using the right kind of settings on your word processor to get the most out of your spelling and grammar checks. You’re obviously going to lack a contextual engine the way Grammarly will check valid but incorrect words. Depending on what program you use, the process for setting this up will be different. For Microsoft Word, you will need to click the file tab on the ribbon or click the office button and click options. 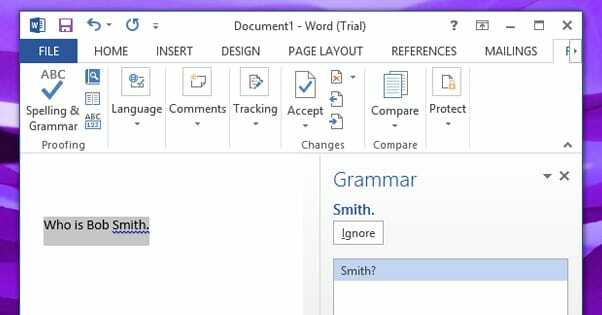 If you’re using a very old version of Word, like 2003 or older, you can click Tools and then Options. Then click on the proofing section and scour the options to check what you want Word to scan. I recommend setting strict settings and, if you find some things flagged that you don’t want flagged, you can un-check those specific options. For Google Docs, you aren’t going to have such an easy time of it. You don’t have a bunch of built-in settings; instead you need to pick an add-on and install it into your Docs setup. You can do this by clicking the add-ons tab and searching for grammar in the window. ProWritingAid, GradeProof, and SpellRight are all decent options, or you can just, well, go get Grammarly. For those of you who prefer composing your content directly in your WordPress dashboard, you have a few options. Your browser will probably have a spellcheck built in, but it won’t do grammar. You can use Grammarly, of course, but you can also use a WordPress plugin. 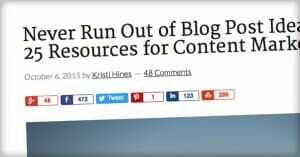 The benefit of using a WordPress plugin – at least, of using this particular plugin – is that it will helpfully scan your existing content as well as new content you produce. This way you can go back and correct errors you may have missed in your old content so they don’t linger and give your site a bad impression. 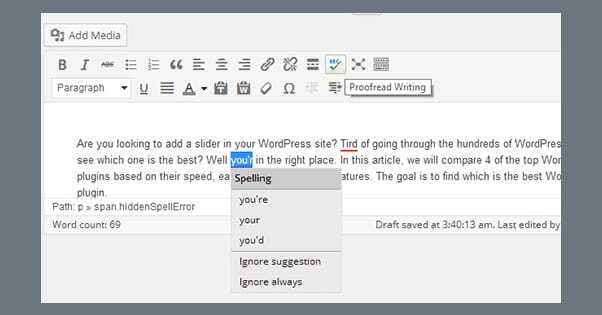 WP Spell Check Pro has a free version that works for an unlimited number of sites, but will only scan up to 500 pages and posts. Paid version scan 1,000 or more pages and posts, but for a limited number of sites. Bronze starts at $25 for the plugin plus a year of updates. The free version of this plugin is also quite limited in another way, which is why I recommend pro. 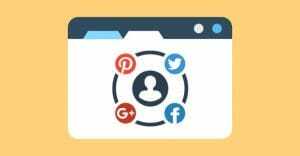 It doesn’t do the titles of pages or posts, post slugs, tag titles, descriptions, or slugs, SEO information, category information, alt text, captions, or anything relating to eCommerce pages or plugins. All of those are restricted to just the paid versions. 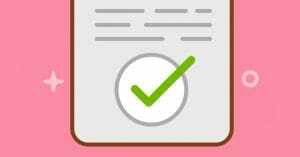 Now, if all you need is a scan of your content and not your structure or meta information, this tool works fine. If you need more, though, pay for it. 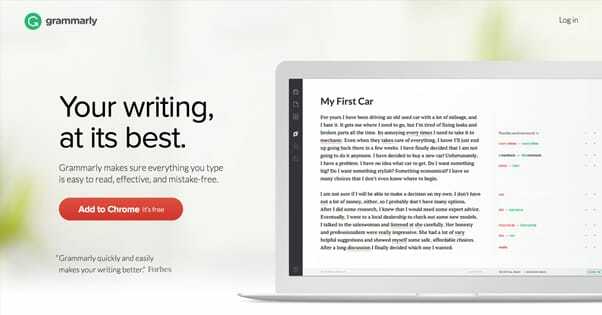 If you want something like Grammarly but for simple mistakes, without all of the recommendation engine and other content on top of it, you can use this. It’s pretty simple to set up, but I don’t know that I’d recommend it over the other options on this list. Think of it like an alternative to Spell Check Pro. This plugin has a few quirks. For one thing, it requires a connection to their server, where all of their language support is stored. This means it’s not cheap; they charge $250 per year for it. You also basically have to buy the pro version, because the free version puts a banner ad on your site. If you don’t want to monetize for them, and you probably don’t, you really can’t afford to use the free version. Some of you want a web-based solution where you can paste in text from anywhere, check it for errors, and fix them in your master document. In this case, After the Deadline is perfect. It’s just a simple website with a box you paste your content into. It flags spelling errors in red, grammatical suggestions in green, and style suggestions in blue. Like other spellcheck engines, it will find false positives with brand names. It will also throw style suggestions and even the occasional spelling error at you for perfectly fine phrases, so feel free to use your best judgment for it. If you like it enough to take it with you, they also have additional tools. They have a command line interface, an add-on for PHPBB forum software, a bookmarklet that you can run on any site, a social networking addition, add-ons for Chrome and Firefox, a plugin for Open Office, and a WordPress plugin. It’s all completely free to use and unlimited. 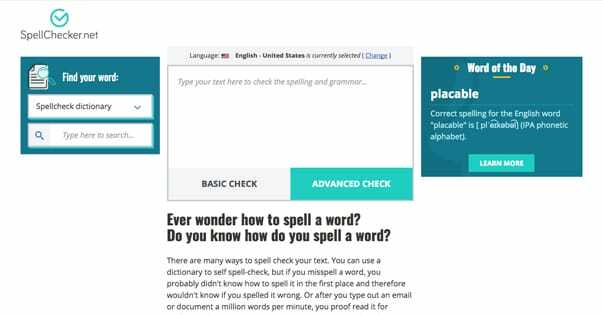 An alternative to the above, with a more robust dictionary, grammar engine, and an additional thesaurus engine, Spellchecker.net is like a combination between After the Deadline and Grammarly. You paste in text and click either the basic scan or the advanced scan. The basic scan pops up a window with three tabs; spelling, grammar, and thesaurus. Spelling is a typical spellcheck with words, options, and the ability to change, skip, or finish your check, or to change certain options. You can tell it to ignore words with numbers, words with all caps, and domain names, and you can create a user dictionary, though this is limited in size and stored in a cookie, so it’s easy to lose. The grammar check is, well, a little bit dumb. It will apply grammatical rules regardless of context. For example, if I paste in this subsection, it tells me to spell out numbers less than ten, like the “6” in the number of the subheading. That’s obviously incorrect. It’s really down to personal preference how much this check helps you or just annoys you. I find it more amusing than useful. The thesaurus is, frankly, quite useless. It offers suggestions for just about every word in your post, and most of them aren’t sensible. For example, in the title of this post, it highlights “ways” and gives me three categories of alternatives; conduits, specialties, and methods. If I blindly went through and changed everything to a default suggestion, it would try to change the title of this post to “6 Aqueducts to Aeon Additionally Conjugation Ascertain Your Blog Acknowledgements.” This is straight-up nonsense. Of course the tool is a lot more useful if you actually choose the right category and browse words for the right meaning. However, it’s a really clunky engine, it doesn’t scan context very well, and it goes overboard on flagging just about every possible word. So what does the “advanced check” option do when you click it? It’s just an affiliate link to Grammarly. So, there you go; the industry recommendation right there in front of you. 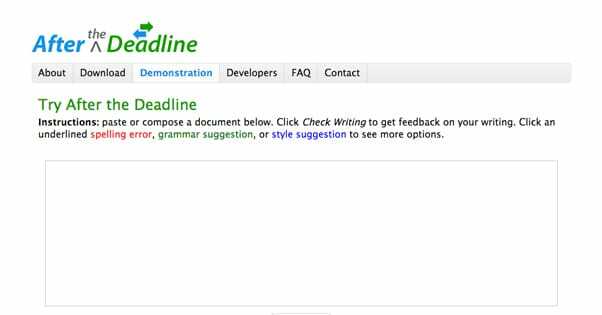 Do you have a favorite method, workflow, or tool for checking the spelling and grammar of your posts? I’ve shown you some options, but there are many more out there. I’d like to hear what you consider the best tool and how you go about running a check. Drop me a line in the comments and tell me what you use, and I’ll check it out. In particular, I’d like to know if you have WordPress ideas better than what’s covered here or in this post.